Safety is our number one priority. Find out how we keep you, our employees and the environment safe from harm. Our overriding priority is safety. As well as our legal obligations we feel a strong moral duty to make sure we cause no harm. 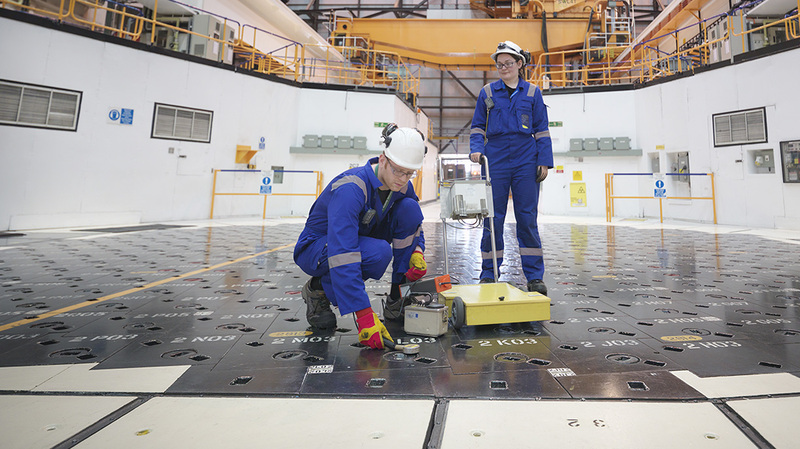 The UK has an impressive nuclear safety track record going back 50 years. We put rigorous procedures in place to ensure we protect the public, our employees, and the environment. Our safety standards are very high and our emergency arrangements are meticulously planned and rehearsed. Safety is at the heart of our culture, and everyone who works for us believes it, lives it and breathes it. We have many systems in place to make the generation of energy with nuclear safe. We build all our new pressure vessels within the reactors using steel and reinforced concrete that’s over five metres thick. They’re built to withstand huge impacts and survive earthquakes, floods and fires. 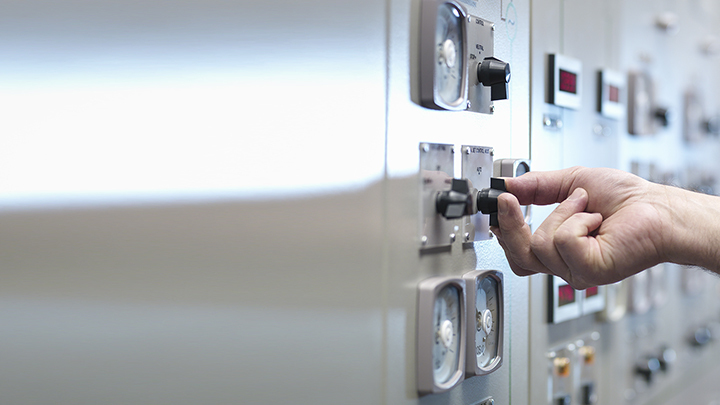 We practice something called ‘safety redundancy,’ which means we have multiple systems that allow us to shut the reactors down, so we don’t rely on a single system. We also have diesel generators and gas turbines on site in the event that we lose all external power to the site. We regularly and rigorously train and retrain all our employees so that our safety systems and procedures are always fresh in their minds, with the very latest information. The nuclear reaction that is at the heart of generating power in this way results in radioactive waste. This is classified into three categories: low-level, intermediate and high, depending on how radioactive it is. Each type is treated differently. This makes up around 90% of the volume of the UK’s radioactive waste, but counts for only 1% of its radioactivity. It’s mostly made up of machinery and equipment parts that have been part of the reactors. To dispose of this waste, we compact it down, seal it into containers and encase it in cement. We then store it at a low-level waste repository in Cumbria. A nuclear safety track record that stretches back over 50 years. This counts for around 7% of all the UK’s radioactive waste. It mostly comes from the fuel reprocessing procedure and the components used in the reactor removed whilst it's being decommissioned. Intermediate-level waste requires special shielding and handling while we encase it in cement and then seal it in stainless steel containers. The waste is then stored securely within the power stations, ready for a planned long term geological disposal facility. High-level waste comes from spent fuel after it has been used in the reactor. It makes up just 3% of the volume of the UK’s radioactive waste, but 95% of its radioactivity. The liquid high-level waste is turned into stable and secure glass blocks by heating it until it turns into powder, then mixing it with crushed glass which is then heated until it melts to form a solid block. It can then be sealed into steel canisters. 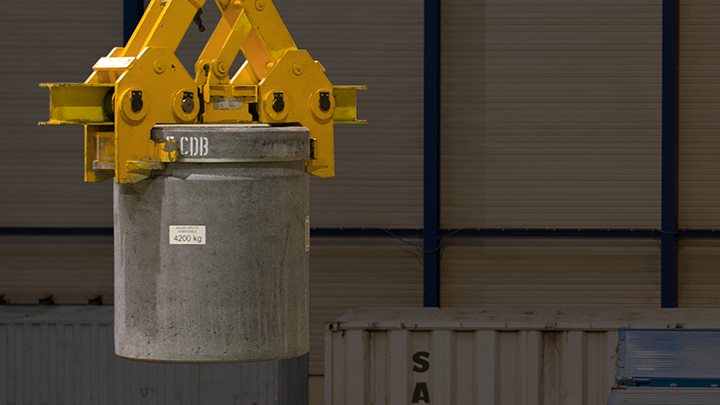 These canisters are stored securely at Sellafield in readiness for a planned geological disposal facility. Nuclear power produces radioactive waste that also gives off a lot of heat, so it needs to be carefully and safely managed. Most of this radioactive waste is low-level – this means its radioactivity is short-lived. A very small amount of high-level waste is produced from the substances left over after the nuclear reaction. This waste needs to be shielded from people and the environment for many years. 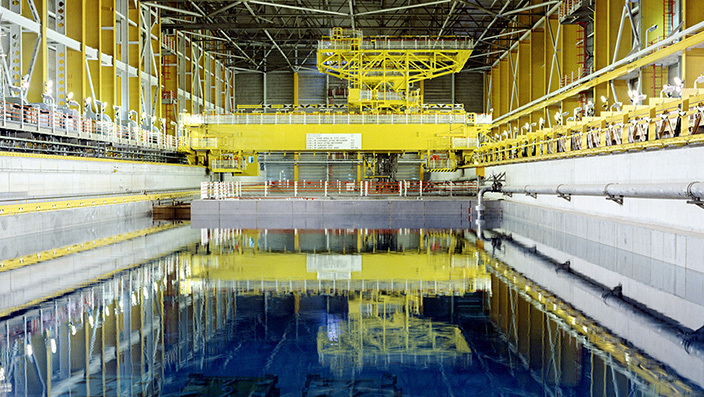 The reactor vessel within the nuclear power station can’t be replaced, so when it reaches its end of life, the station has to be closed and decommissioned. 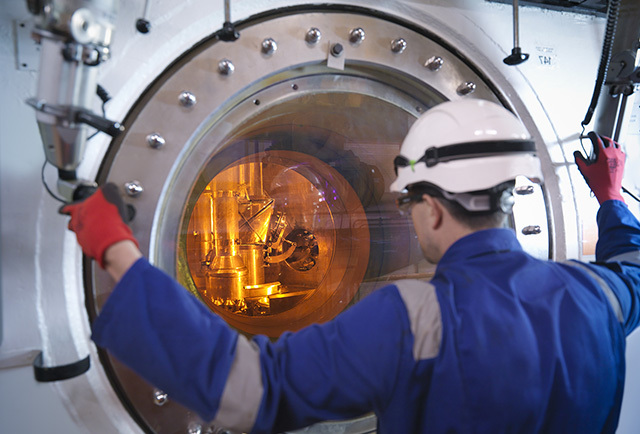 For today’s new reactors, this usually occurs after an expected working life of around 60 years. The decommissioning is carried out using one of these three methods defined by the IAEA. The station is defuelled, dismantled and decontaminated as soon as possible after shutdown. The site is quickly cleared and made available for reuse. Any high-level waste is removed and most of the installations are dismantled except for the reactor itself, which is put in a safe state. The defueled and safe power station is monitored for 40-80 years while its radioactivity levels decay. Then the final deconstruction of the reactor can be completed. All radioactive material is placed in one part of the power station, which is then encased in thick concrete. This option is being pursued in some parts of the world, but it isn't actively promoted within the international nuclear community.